Don’t know what to get your boo for Valentines Day? Don’t want to spend a lot of money? Want to anonymously tell your crush you like them? 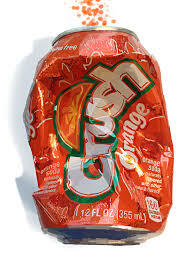 Student council has the perfect solution: buy a Crush can, or rose, for your crush. Starting Monday, February 4th, the Cannon Falls Student Council will be selling Crush cans and roses for Valentine’s Day. With each purchase, you are given the option to write a note to be delivered with your item. They will sell the items until the day before Valentine’s Day, (February 13th). The items will then be delivered to your crush’s or friend’s first hour class on Valentine’s Day. The money raised from the sales will go towards future events that the student council puts on, such as homecoming and the winter formal. Please help support your student council by purchasing crush cans or roses. Crush cans will be a dollar each and roses will be sold for two.